Columbia Gorge Community College is part of a network of public community organizations dedicated to your well-being and success. STEPS Support Coaches on the Hood River and The Dalles campuses are responsible for connecting you with those resources, whether you’re in need of food, transportation, housing, healthcare, or shelter from domestic violence. 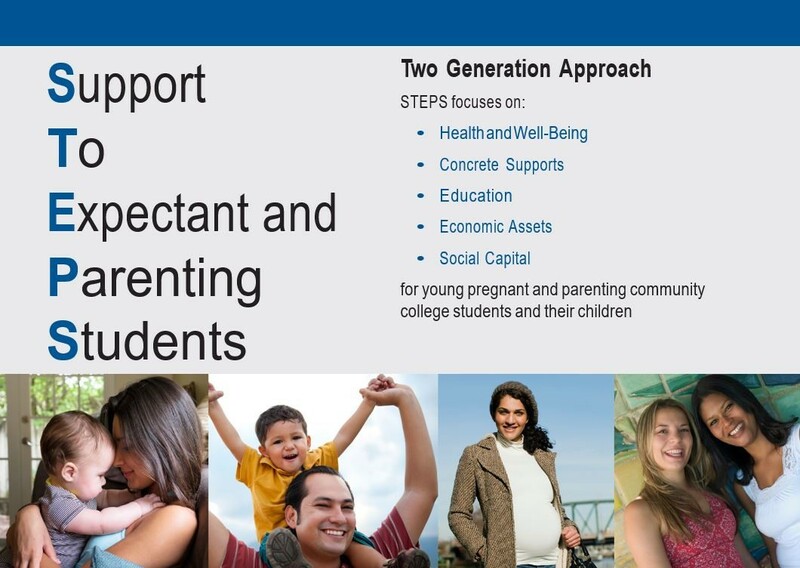 It’s all part of STEPS, “Support To Expectant and Parenting Students,” a federally-funded initiative of the Oregon Health Authority. Columbia Gorge, Klamath, Chemeketa, and Linn-Benton community colleges are all participating in Oregon. At Columbia Gorge Community College, STEPS assigns Community Health Workers from Hood River and North Central public health districts, assisting Shayna Dahl, the college’s Student Support Services Coordinator, in connecting students with local resources. The table below lists the STEPS Program Domains. If you would like to see what services you may be able to receive, fill out the Consent for Referral form and return it to Student Services on either campus.